Even mafia bosses aren't immune to foreclosure or creative reuse of their properties. These over-the-top, garish estates found their ways into the real estate listings. Despite the amount of money that flowed into theses properties, they ended up listed for less or siezed and sold. Larger than life, Al Capone was born in New York and took his dealings to Chicago where he ruled the underground until he was busted for tax evasion. 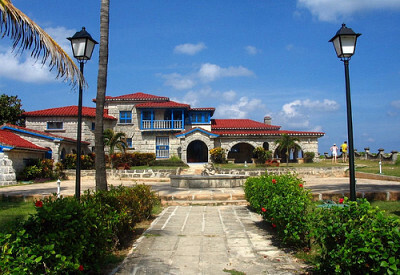 One of Capone's homes is said to have been a beautiful Spanish style villa in Varadero, Cuba. The house is now a restaurant called, appropriately enough, Casa de Al. The Gotti Crime family in New York is one of America's most famous and the long-standing trial of the flamboyant John Gotti garnered headlines for years until his death in 2002. His mansion in Long Island was featured in the Bravo TV Show "Growing Up Gotti" starring daughter Victoria, who nearly lost the home to foreclosure. It appears that mob members aren't immune to the downturn in the real estate market any more than the rest of us. 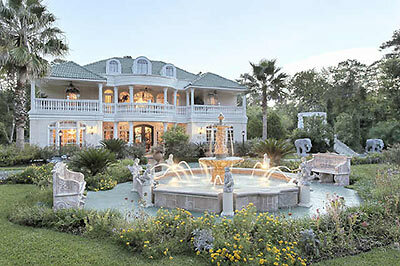 An ornate Houston mansion, said to be the home of Vincent Palmero, aka Vinnie Ocean, a former member of the DeCavalcante crime family of New Jersey, has been on the market for a while. The mansion originally went on the market at $4 million dollars and in April 2010 the asking price was reduced to $2.45 million. As they say, a deal you can't refuse? In 1947, Benjamin "Bugsy" Siegel, responsible for the expansion of Las Vegas and original owner of the Flamingo Casino, was gunned down in this Los Angeles home owned by his girlfriend Virginia Hill. The murder, he was shot in the head and neck, has never been solved. 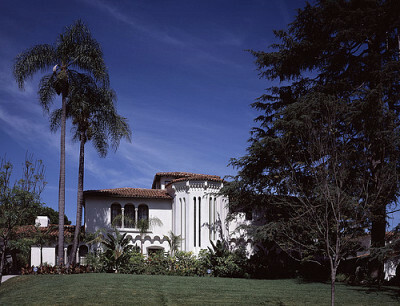 The house, a beautiful example of California Spanish style architecture, was eventually seized by the IRS to pay for back taxes. 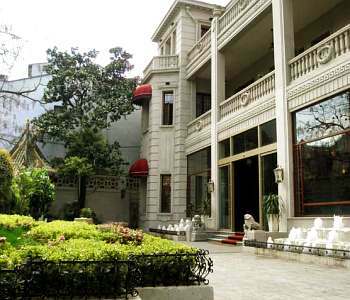 The China Mansion Hotel in Shanghai was designed and built in 1932 by a French architect at the height of the city's fame as the "Paris of the Orient". The mansion was the home of China's biggest crime syndicate boss Du Yue-Sheng until he fled to Taiwan in 1949. It is now a beautiful, luxury boutique hotel. 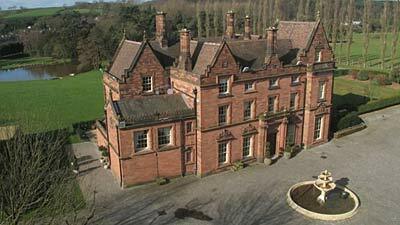 The 17th century Meaford Hall, located in Staffordshire, England, belonged to Britsh crime boss Craig Johnson. The house, one of the best in the region, was put up for auction when Johnson was arrested for a large VAT tax swindle. The brick house includes an indoor pool and extensive grounds. Foreclosure Statistics: Whose houses are at risk?